The action-packed and busy world we live in can bring even the most active and energetic people undone by making us lose sight of our goals whether they be work, health or family related. Even with all the tools at our disposal, there’s no denying that it’s still incredibly tough to keep up with the demands we face and we may make sacrifices to survive the struggle. When your mind isn’t ‘on the job’, you can see your performance stagnate or potentially start to slip. From corporate office work to vigorous labour jobs, being slightly off the pace can see things escalate to a whole new level in a never-ending climb to get on top of it all! Ever woken up thinking to yourself ‘how on earth are these kids up and jumping about at this ridiculous hour of the morning?’ while you contemplate not moving for the entire day? That’s probably because you’ve lost focus and you’re out of energy to focus on family fun! Whether at work or in your personal life, you want to be at your best for any significant event! When your mind is running a marathon in record time, it can be easy to freeze up during your momentous presentation or during a big birthday bash. No one enjoys being the lethargic person at a party because they are either exhausted from work or have a big week of work ahead. There are a host of concentration exercises out their designed to help stress heads keep their focus but these aren’t for everyone and can be time-consuming. Grabbing a coffee or energy drink will also only give you a short burst of energy and leave you desperate for more. 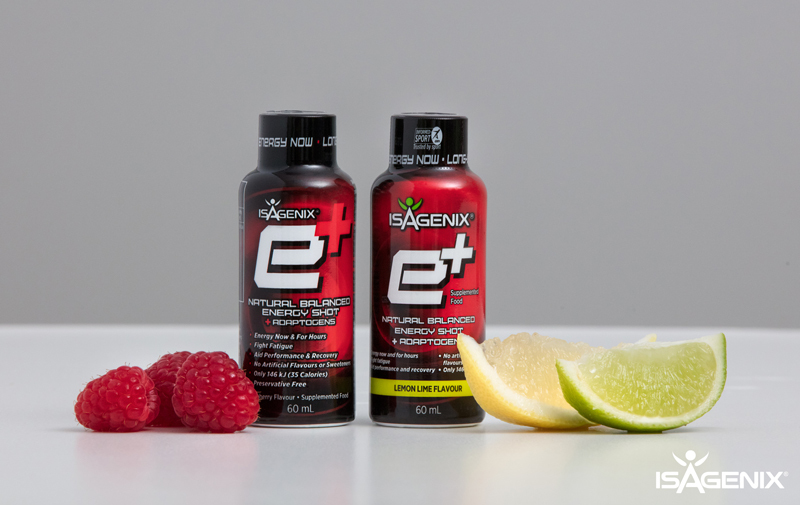 The best option to help get you back on track and performing at your best is the e+, a long-lasting, flavourful energy shot. Not only does e+ leave you feeling energised but it helps to improve your mental and physical performance, enhances focus and allows you to stay alert and think clearly. Formulated with adaptogens and plant-based caffeine, it’s the healthy way to provide the ‘get up and go’ you need on a day-to-day basis to make sure you never miss the important things in life! Add some to your next Autoship through the IsaLife™ app!